Here are some quick SharePoint document library tips to help people who aren’t familiar with SharePoint have an easier time. A quick and easy way to help your users avoid pitfalls is to simplify the version settings for their document libraries. You may have some complicated process in mind that requires specific settings, but if that process is confusing your users, you should consider simplifying the version options. For example, if you don't need versioning, just turn it off completely. If you don't need minor versions, turn them off. People new to SharePoint usually don't know that there minor versions are only visible to them by default. One easy way to prevent conflicting changes is to enforce check out before documents are edited. This is a simple radio button in the version settings. You would use this if you’re worried about your users making conflicting edits. Requiring that they check out documents before editing will eliminate the problem of conflicting changes, but you’ll need to educate them on checking in the docs when they’re done. 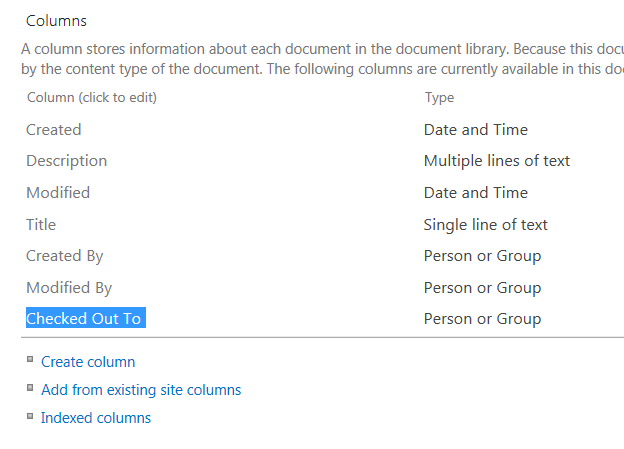 To add the column, go to the doc lib's settings page and find the "Columns" section. From there, choose the "Add from existing site columns" link and then select the "Checked Out To" column from the list. Since I just mentioned enforcing check-out before editing, the next tip has to be one of my favourites—adding the “Checked Out To” column to the default view. This simple change can make life so much easier for people new to SharePoint. If you add this column to the default view, it's obvious to everyone which documents are checked out and who has them checked out. 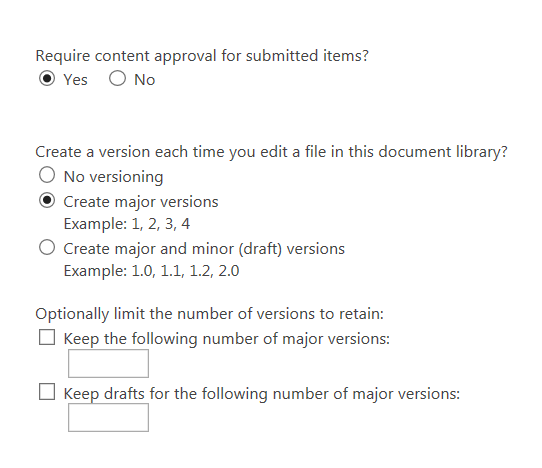 Another option that is related to simplifying versioning is to show draft documents by default. 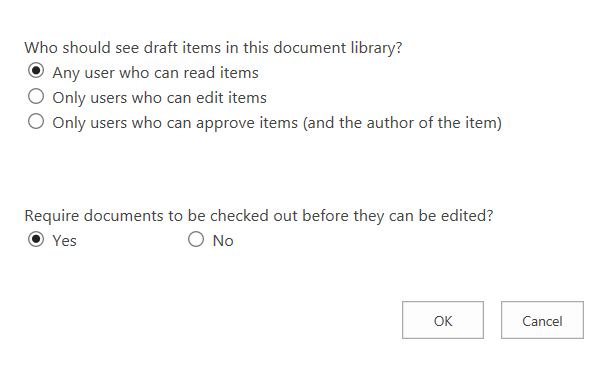 This way you can allow people to see draft documents before they have been checked in. If a user sees a draft, he or she can talk to the person working on the document before making changes that would potentially conflict with the existing draft. This saves lots of hassle because it's common for users to forget to check in new docs, or simply not understand why it has to be done before other people can see that a file has been added. This one is straightforward. If you want to save yourself some hassle. Use an inherited permissions model that uses groups instead of individual users and is flexible enough for everyone to do their job without going to the SharePoint admin regularly to extend their credentials. Note: You may need to install the install the SharePoint 2013 OneDrive Pro client to get this to work. Many users feel more comfortable working in the Windows file system. They can do this with their SharePoint document libraries by choosing the "Sync" options or the "Open with Explorer" link. Once you have the SharePoint library syncing to a local folder, you can easily do things like paste files into the doc lib to upload them to SharePoint. If you go to the library settings, you can use the "Managed checked out files" option to see all the checked out files and from there, you can even take ownership of them by choosing the "Take Ownership of Selection" option. This is great when a document isn't showing because it only has a draft version and you're not sure who has it checked out.